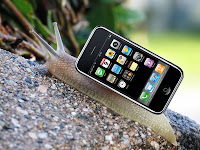 Home iPhone5 News Rumors iPhone5 Delayed?! Recent reports claim that the new generation of iPhone will not be available in summer, as mentioned in one of our older posts. Due to the fact that the components required for iPhone5 functioning are not yet ordered by Apple. This affects the launch date: the delay is expected. The reports also indicate that long-awaited iPhone5 will not be included in Apple’s fiscal report, as fiscal year ends in September. According to Japanese Mac blog, the company is still uncertain about the materials to be utilized in a new product. The sources also identify that iPhone5 was rumored to be China-based. It was also said in March, that iPhone5 glass material would definitely be changed with metal. Some reports also indicate the estimation of Apple in case of using metal cover for only limited iPhone5 devices, adding that this decision is to prevent further incidents of the boldest breakage problem of the Apple smart devices. This feature will be the POD of iPhone5, and the main distinguishing element from iPhone4. The expectations from experts about possible upgrades and modifications indicate the huge work ti be done by Apple. The upgrades include of making a CDMA and GSM version of the product and the use of an NFC chip. I found out how to tap a phone at hacker9.com.